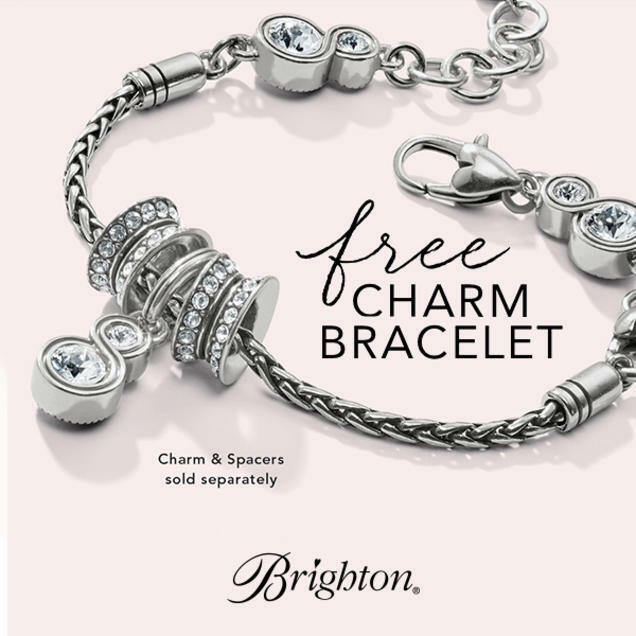 Featuring our infinitely lovely Infinity Sparkle motif, this charm bracelet is an artful foundation for your creativity. *LIMIT ONE PER CUSTOMER, WHILE SUPPLIES LAST. PURCHASE TOTAL INCLUDES MERCHANDISE ONLY; GIFT CARDS AND SALES TAX NOT INCLUDED. LIMITED TO STOCK ON HAND. IF YOU DECIDE TO RETURN ONE OR MORE ITEMS PURCHASED AS PART OF A GIFT WITH PURCHASE OFFER, YOU MUST ALSO RETURN THE PROMOTIONAL ITEM. AT PARTICIPATING RETAILERS ONLY; OFFER ENDS FEBRUARY 24, 2019.